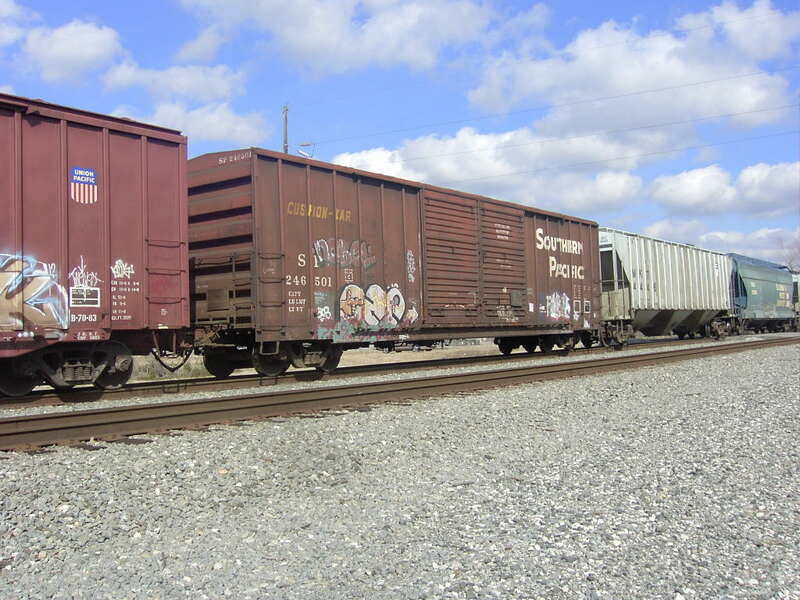 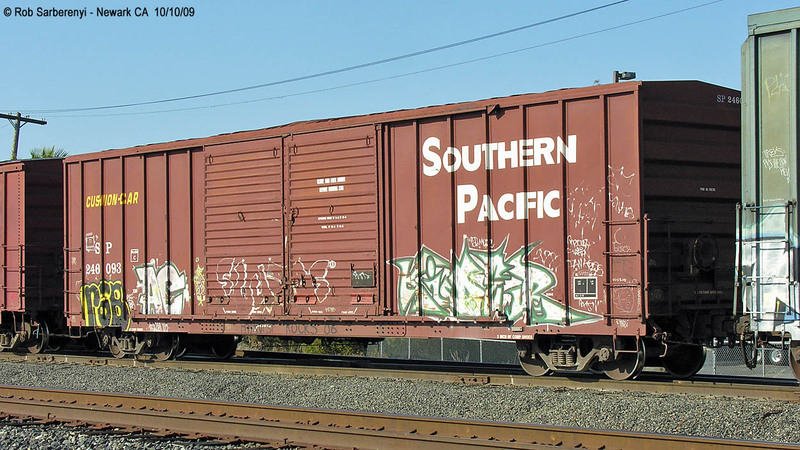 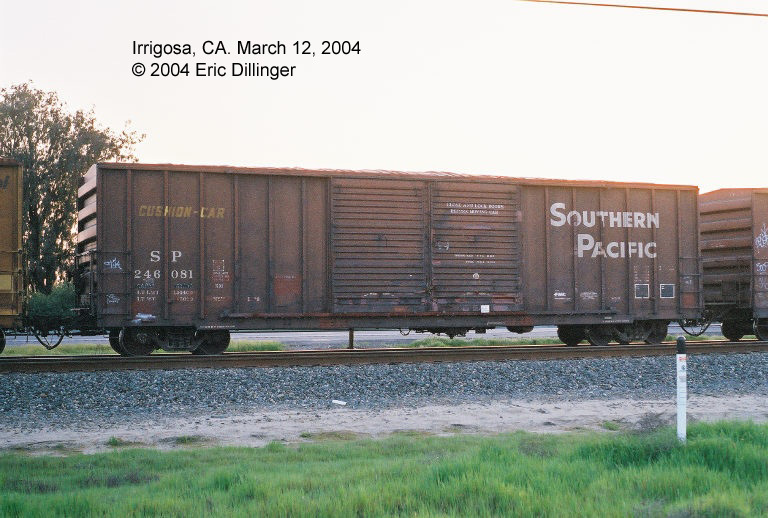 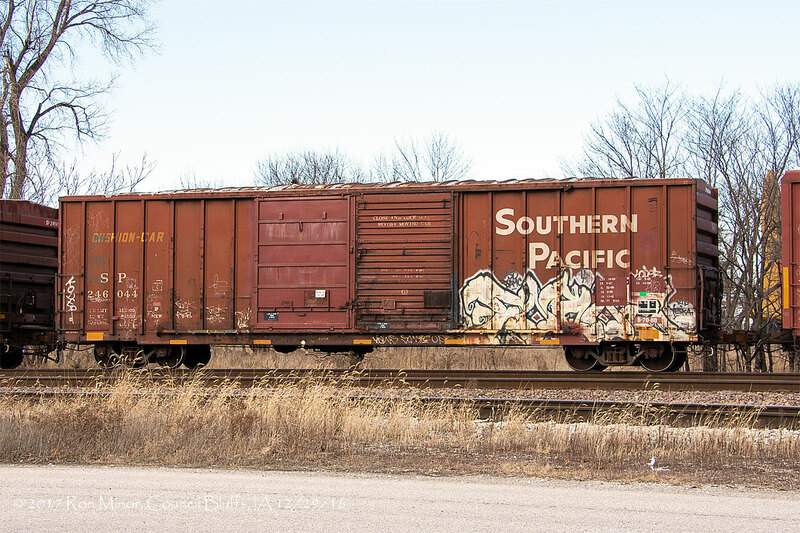 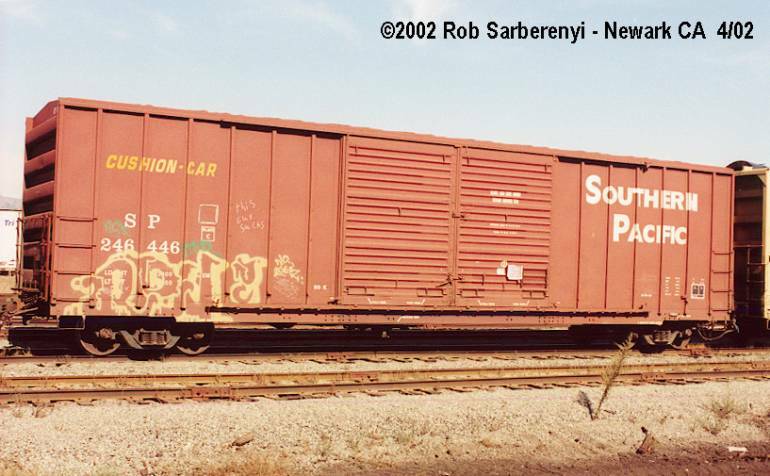 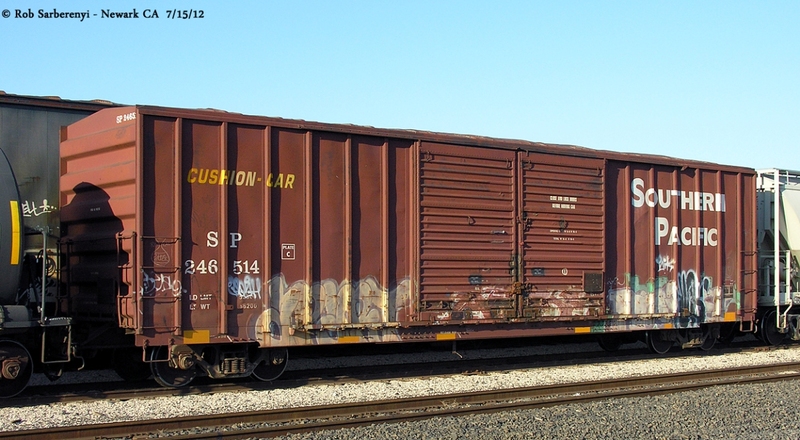 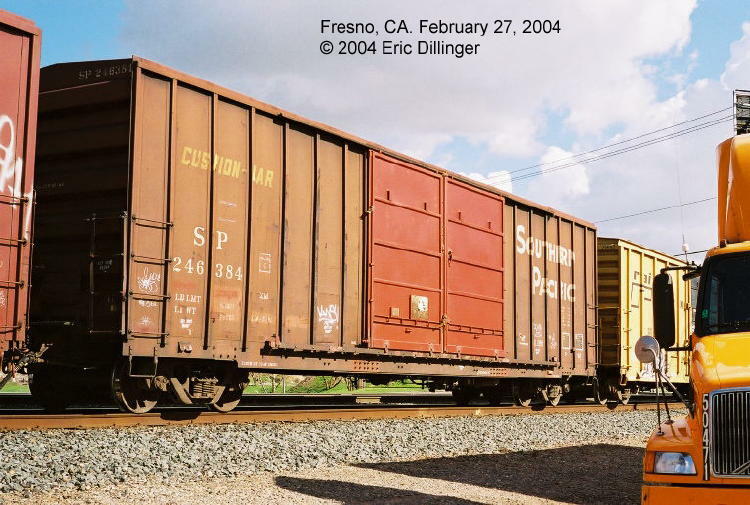 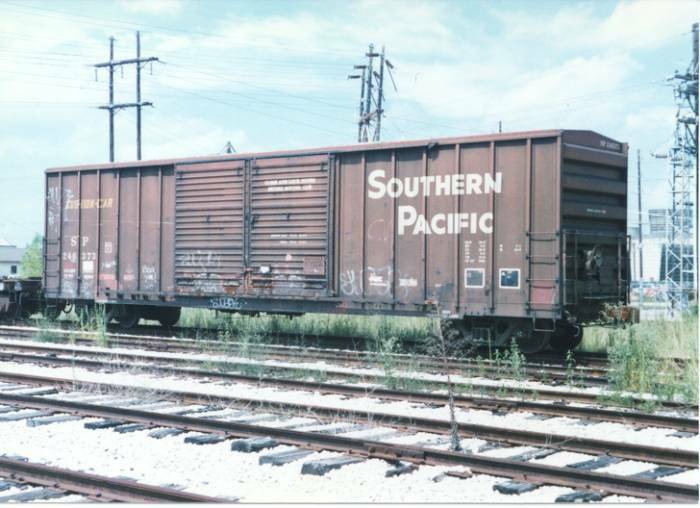 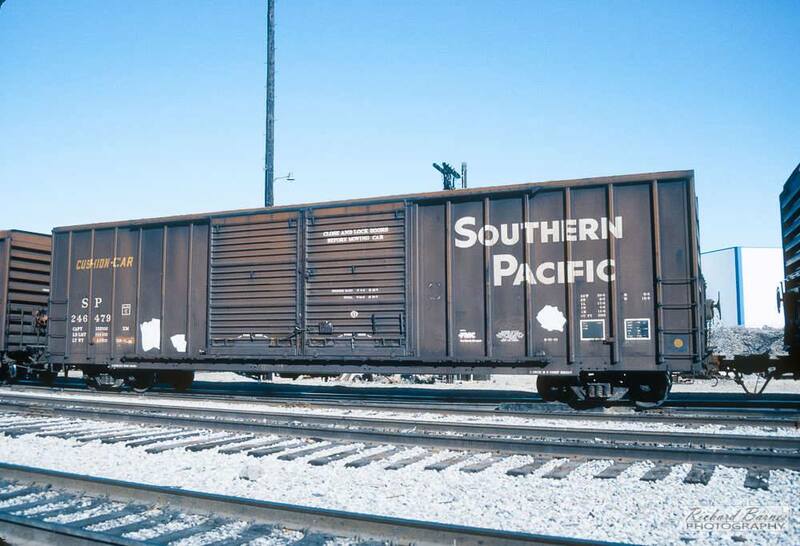 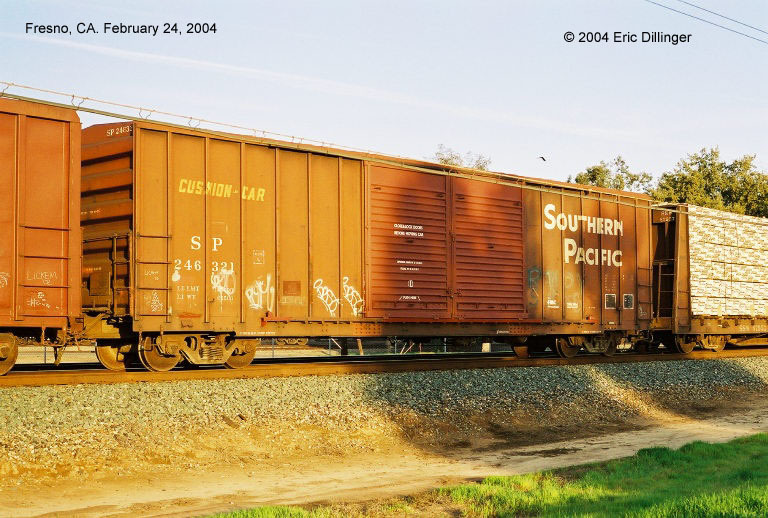 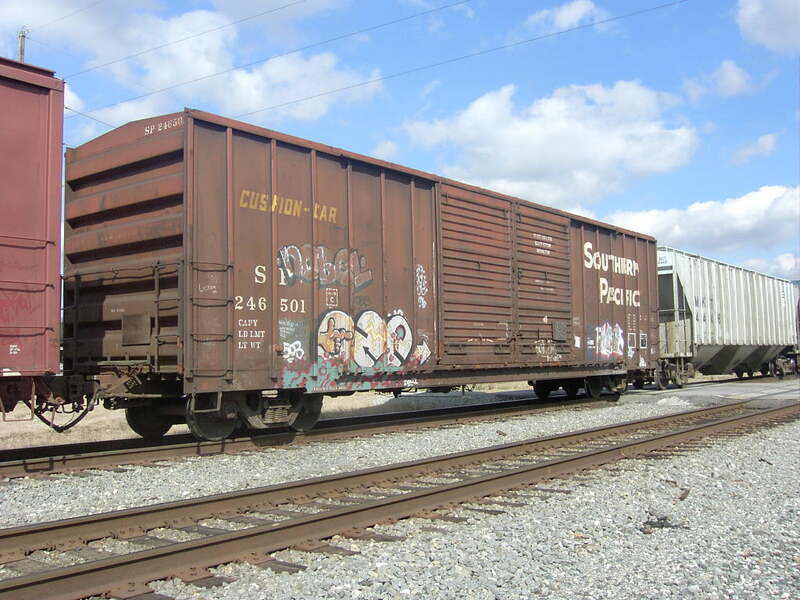 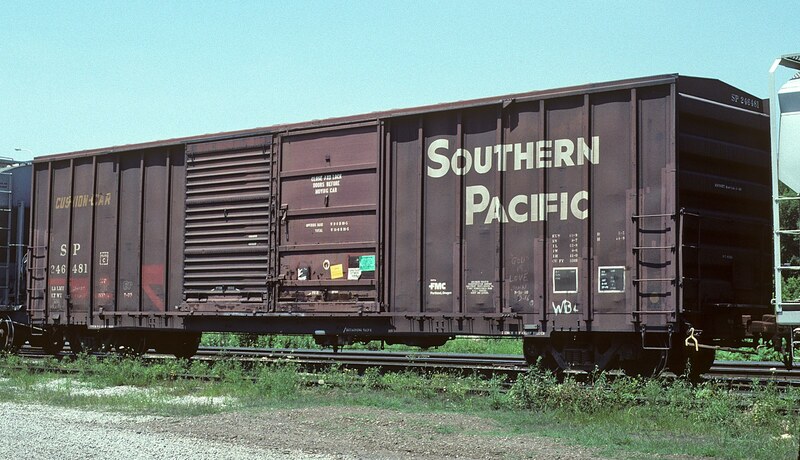 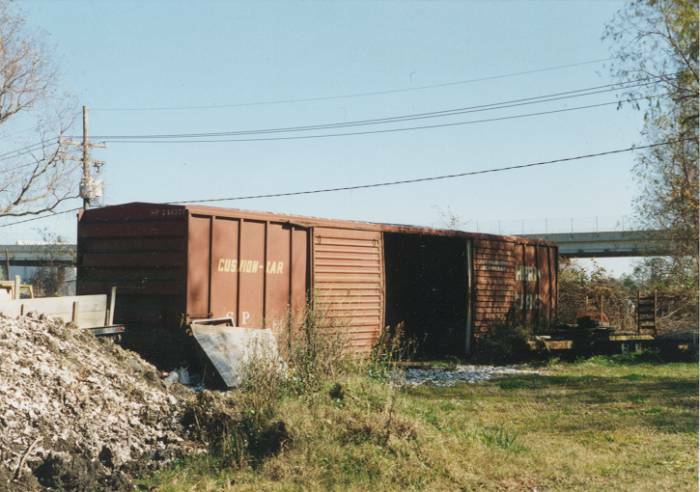 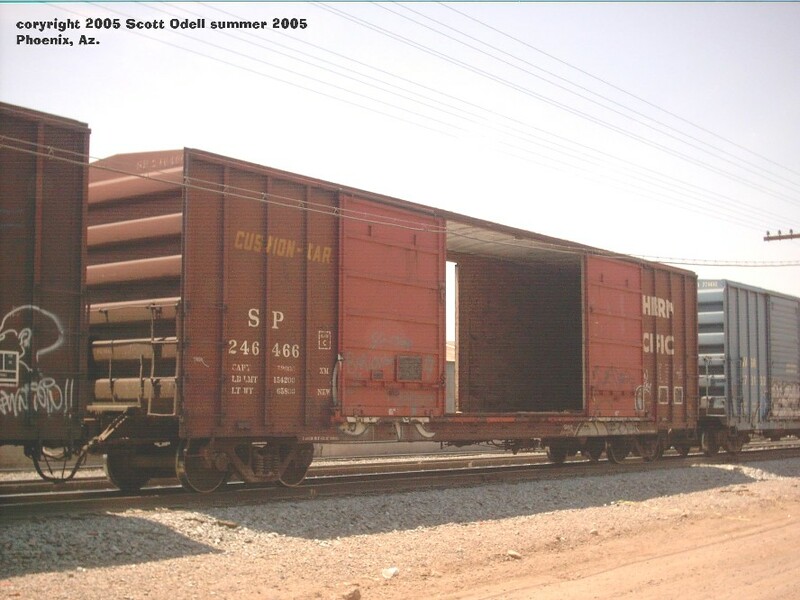 These 52'-8" box cars were built by FMC (lot 17960) in 5-7/1979 and featured 8'+8' Youngstown sliding doors, non-terminating ends, Freight Master end of car cushioning and 5503 ft3 capacity. 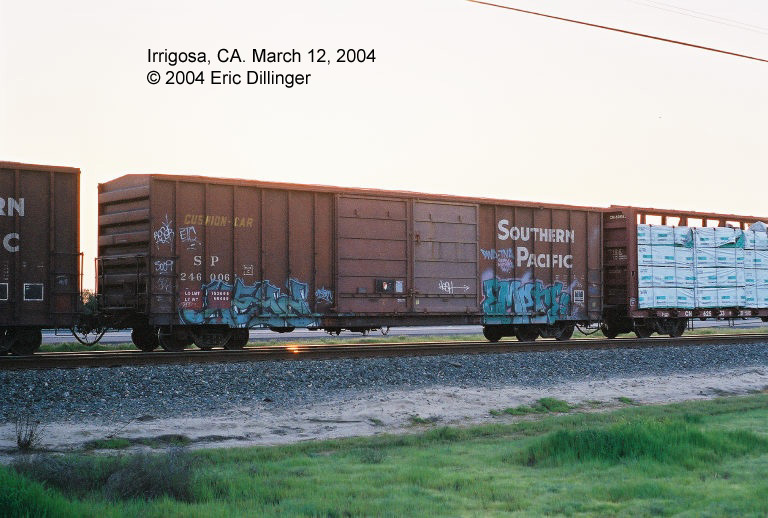 Some of these cars were rebuilt and renumbered as part of the Golden West Service program. 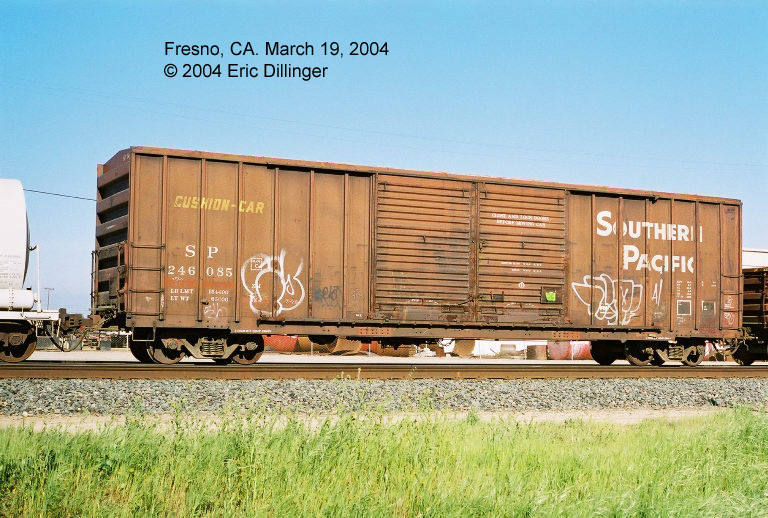 Many of these cars were renumbered and repainted into the UP's simplified shield scheme. 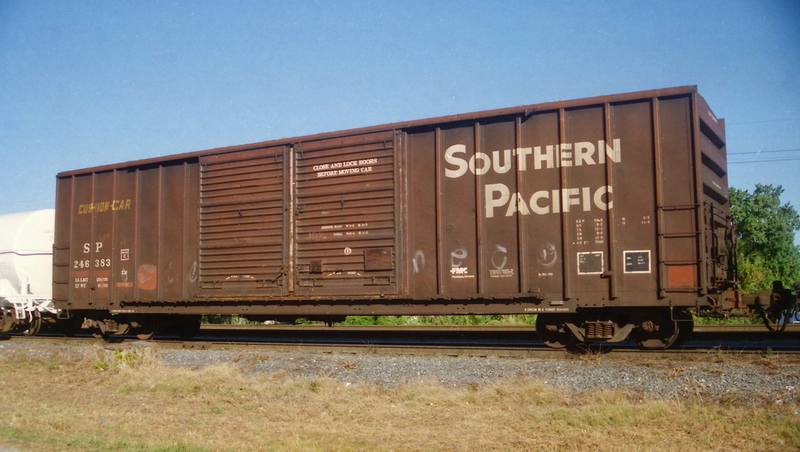 They retained their SP reporting marks, but were placed into a new number series. 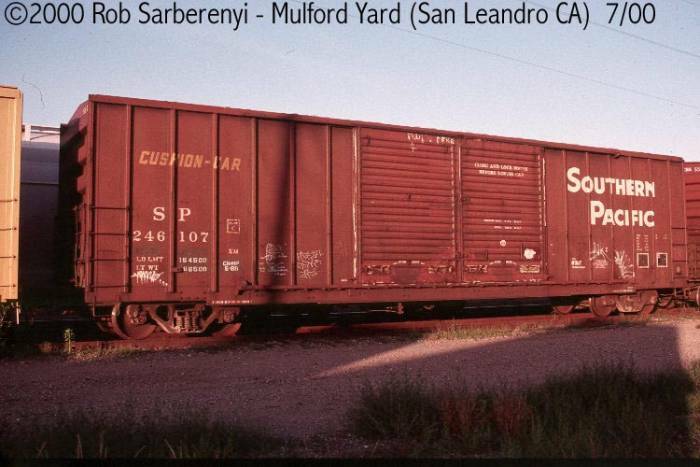 Also, apparently two other groups of similar cars received B-70-80 class designations: Amador Central (AMC 1001-1075; 5/1979; lot 17960) and Longview Portland & Northern (LP&N 52000-52099; 7/1979; lot 18093.) 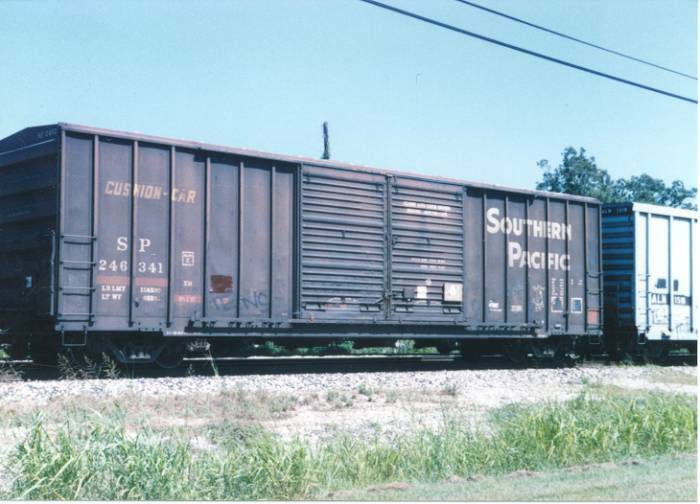 The AMC cars were built under FMC's same lot number, so there is aparently SOME sort of relationship there, probably with respect to financing. 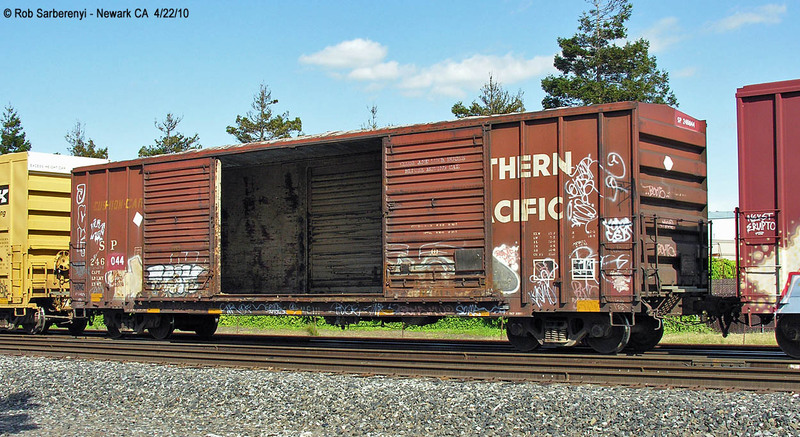 More research is certainly needed!